We have just reached our latest Patreon milestone. Thanks to everyone for supporting this project from the entire team. It means the world to us. We are fully commited to making Median XL a great experience for all of you. With the support of our patrons, we are launching 3 new game servers as part of our recently completed goal. You can vote here or on our Discord! We pre-selected 10 locations based on the amount of users per location playing on TSW. The 3 with the most votes will get a new server. Expect more Sigma related news in the near future! Edited by Gavin_K88 5 months. Don‘t we already have like 6 German servers? 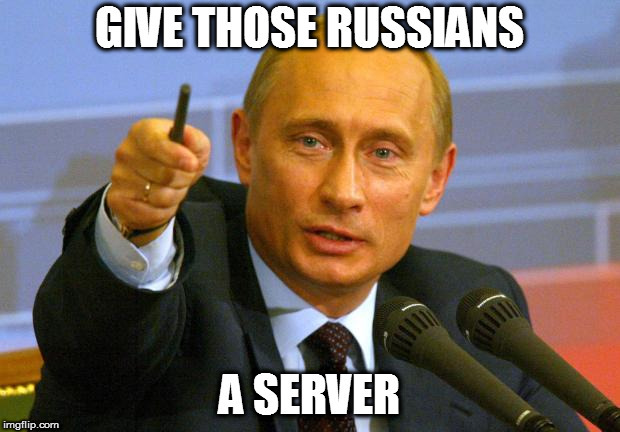 I don‘t think I‘ll vote for any Server because I wouldn‘t benefit from it in either case. Put some more servers where people don‘t have one yet and need one. HechtHeftig wrote: Don‘t we already have like 6 German servers? I don‘t think I‘ll vote for any Server because I wouldn‘t benefit from it in either case. Edited by MY4SG4 5 months. Well i think u should make a poll with countries that dont have one already. Edit: Im from Poland and it would be nice to have a server here but lag on german or czech server is barely noticeable. So better make one in countries that need them the most. TBH frenchies (me included ) can benefit the UK server that Zall payed ( a frenchie too) it's very decent.